Say goodbye to careful maintenance, solutions and cases and welcome comfort and convenience when you buy Focus Dailies 90 pack contact lenses. 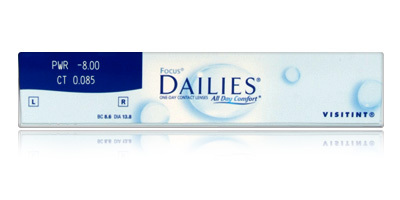 Focus Dailies 90 pack lenses employ an ocular lubricant named PVA along with the AutoRelease technology. This AutoRelease technology involves a moisturising agent, which is set to be released into your tear film every time you blink. 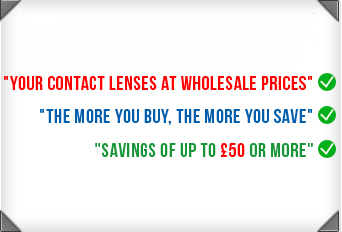 Every day you can wear a new pair of contacts with the assurance that for the next 24 hours you don’t have to worry about your vision or your eyes. 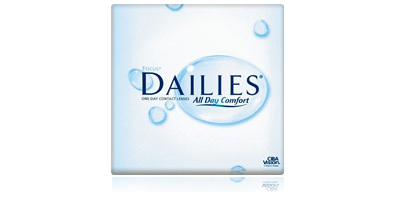 No more hassle, no more irritation, in fact you will be impressed by how thin the edges of these Focus Dailies 90 pack contact lenses are and how comfortable they feel in your eyes. 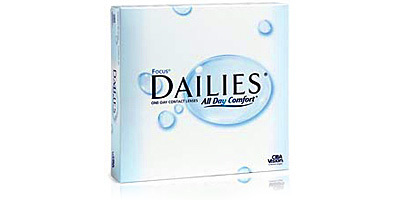 Buy our Focus Dailies 90 pack contact lenses today and enjoy great savings and reliable service direct to your doorstep. Not only do you save when you buy a 90 pack, but you will not have to worry about ordering for the next three months.